As the blogosphere awakens to the story of Pfc. LaVena Johnson's death, it's important to remember that this story is much larger than Blogville. Weblogs obviously have their importance in comminicating this story, but you don't have to be a blogger to be concerned over the anguish of LaVena's family and the inflexibility of the Army in refusing to reopen its investigation of her death. And you don't have to be a blogger to act on that concern. The media close at hand. LaVena's story is no more a local concern than the war in Iraq or the concern that families have for their loved ones overseas. Share that concern in the letters column of your newspaper, or on open line discussion on that radio talk show you listen to. The media far away. LaVena's story won't enter the minds of the professional opinion-makers unless it is brought to their attention. It could be a national-level print columnist (a Nick Kristoff, possibly), a television personality (a Keith Olbermann, perhaps), a talk show host (an Oprah Winfrey, maybe). If you feel that a particular media personality would be sympathetic to the story of Pfc. Johnson and her family, please share that story with him or her. Those who have written or talked about LaVena before. Our attention span is narrow; we have to work to remember things, even important things. There are news outlets that have mentioned LaVena's death once and then moved on because that's the way of the world. Find out who they are (Google, Lexis Nexis, and the like). Help them remember. Remind them of LaVena. Friends, family, plain old people. I look at the links that are bringing people to the posts on LaVena and see that several originated from emails. People are sharing the story. It takes just a moment to spread the word via your address book. Or over dinner. Politicians. Elsewhere on this blog is a list of direct contact links for each member of the Senate and House Armed Services Committees. While the petition to each of those legislative bodies is a valuable first step, contacting individual members can help to bring home the message. Keep in mind that Congressmen really only want to hear from their own constituents, so make sure that the committee member you email really does represent you. Those who have served. I saved soldiers for last here when they might easily have been first; I did so because I believe it's important to go away from this thinking primarily about the men and women who have served us in dangerous places. Our thoughts are with them and for them and their families, regardless of personal feelings about the current war. If you have a loved one or a friend who is is serving now or has served, share LaVena's story with that soldier. The only thing I'd add right now is that even though feelings on this subject will run hot, it's important to be decent in your communications with people from whom you are asking help. After all, you're acting not in your name alone, but in someone else's. Any suggestions that can be added here would be welcome. Thanks very much for your attention, and your help. Thank you Philip for your care and concern for Private First Class Johnson. The circumstances of her death are more than suspicious, they are indicative of a very violent assault. I hope we are able to sway the military to do the right thing and fully investigate her death. This was a terrible crime and cannot be allowed to go unpunished. We need to write to our people in Congress. We must insist that they apply pressure to get this case reopened. Thanks to Phillip for bringing the matter to light! This woman deserves more than a cover-up of how she died. I have the utmost respect for her father who has done what all parents should do - protect their children and demand justice when they are wrongfully taken from us. I have the deepest sympathy for LaVena's friends and family. Unfortunately, enlisting in the Army is like making a deal with the Devil. A MSW at the Detroit VA has data relating to sexual assualts in the military and she has some staggering statistics. Her name is Ethel Kellie ethel.kellie@med.va.gov Check her out. I am haunted by thoughts of PFC Johnson's last moments, as I'm sure are her family and friends. 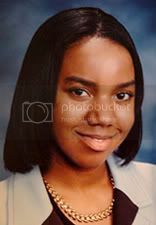 Though we may never meet, you are in my prayers and I will do everything in my power to make sure PFC LaVena Johnson's memory is kept alive. Moreover, you have my solemn oath to carry her banner until those shadowy creatures who would attempt to disguise her death have been brought into the light and to justice. Peace. I am a Vietnam Veteran who served in the USMC. During my tour in Vietnam in 1969 I saw many of my fellow Marines change, including myself during and afterwards. Please accept my heartfelt sorrow to the family of PFC Johnson and looking at her photo I also find it very hard to believe that she would have committed suicide. I can only offer my prayers to the family and if there is a guilty person, I pray that he comes forward. 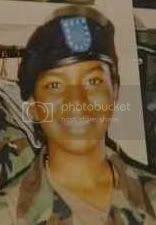 IT WOULD HAVE BEEN BETTER FOR THE PEOPLE WHO DID THIS TO PFC LAVENA JOHNSON TO HAVE HAD A VERY HEAVY WEIGHT TIED ROUND THEIR NECXKS AND THROWN INTO THE DEEPPEST PART OF THE OCEAN THAN TO HAVE DONE ALL THAT THEY DID TO HER YOU DID NOT DO THIS TO HER, BUT YOU COMMITED A MURDER AGAINST ALL OF US WHO LOVE HER. YOU COMMITTED A "CRIME AGAINST GOD'S PEOPLE!" GOD WILL AVENGE HER DEATH!!!!!!!!!!!!!!!! GOD SAW EVERYTHING. YOU ALL ARE NOT ABOVE THE LAWS OF GOD!!!!!!!!!!!! I will definetly sign the pitition simply because it is the only human thing to do. Which appears in utter contrast to the Bush Administration. My prayers go out to the Johnson family. Wow! I'm not surprised, but feel very pissed off. Mostly at the male soliders that don't protect the females. Amerika will fall, and the rest of the world will rise. They say so goes Amerika, so goes the world, I say, if Amerika sees all other countries as 3rd world,, with no food, then when Amerika falls what difference will it make. I read of people on this post saying how proud they are to be in this country, and I say why?